Here are some easy container vegetables to grow,and a couple of berries. Guidelines are listed here, but also adhere to the growing instructions that come with the seeds or plants that you purchase. For planting these easy container vegetables, use potting soil with fertilizer and a container that will accommodate the planting depth of the vegetable and its mature height and spread. To find your growing region before you buy or order seeds or plants, make sure you know in which growing region you will be gardening. Find your growing region here. 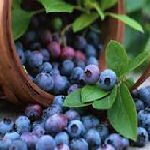 Blueberries – dwarf blueberry varieties are well-suited for containers. Use potting soil formulated for azaleas or rhododendrons. Fill the container to within 3 or 4 inches from the top and then add a couple of inches of mulch. Don’t pack soil or mulch direct around the main stem of the plant. Keep soil moist, but not wet. Fertilize about every 4 weeks during the growing season with fertilizer formulated for acid loving plants like azaleas or rhododendrons. Celery – fill the pot with potting mix. Sow seeds on top and cover with 1/4 inch of soil. Keep the seeds about 6 inches from the sides of the pot. Plant 2 seeds at a time and keep 8 inches separating the pairs. Water lightly. Keep the pot where it is about 55 degrees all the time and keep the soil moist. When the plants grow to about 4 inches, thin them out and leave the strongest looking plants. Use a little granular fertilizer around the edge of the soil. As the plants grow, make a loose tube out of newspaper and put around the plants. Tie it loosely. 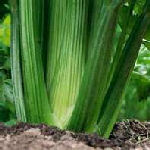 When the base of the plants is about 3 inches in diameter, it is time to cut the head just below the soil. 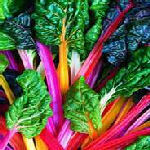 Chard – this is an easy container vegetable you might overlook, but chard adds color and flavor to your salads. Plant seeds in pairs 1 inch apart. Plant other pairs about 8 inches apart from these, etc. Cover with 1/2 inch of soil. Water and place in full sun. Keep moist. Thin the plants when they are 3 inches high – keep the best plant from each pair. Use a water soluble fertilizer about a month after planting. Cut plants from the base when they are 6-8 inches. According to my sister, green beans are absolutely the best container vegetables. She can eat them every day. Green beans – Use a one gallon pot with good drainage. The beans need at least 6 – 8 inches of soil depth. 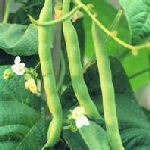 An easy container vegetable would be dwarf bush beans, but any type of bush or runner bean will work. Plant 2 containers 3 weeks apart for a continuous harvest. Follow instructions for planting depth on the variety of beans you select. Most beans are ready to be picked 40-60 days after planting. Pick ripe beans daily to encourage continuous production. Hot peppers – these would be my brother-in-law’s choice for best container vegetables. Add them to anything. Purchase plants that are green and bushy. A 5 gallon container will hold two plants. Plant in holes 2 to 3 times wider than the root ball but no deeper than the root ball to avoid root rot. Water the plants and keep them moist. Place in full sun. Use them fresh or dry them for use all year. 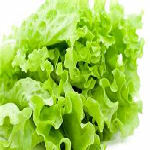 Lettuce – in my opinion, one of the best container vegetables. Purchase young plants – there are so many varieties – I like bibb and romaine. Place them in the pot, burying the root balls so the tops are even with the soil level. Water daily and make sure the plants get at least 4 hours of direct sun a day. Harvest from the outside of the plant. Leave the inner plant alone to encourage more leaves. 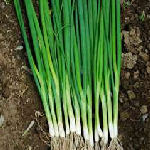 Onions – an easy container vegetable to plant in a pot small as 6 – 10 inches. The easiest way to plant is with onion sets. Plant the sets close together and about an inch beneath the soil. Water thoroughly. Water when the top inch of soil is dry. Fertilize with a water soluble fertilizer every 2-3 weeks. Harvest when the tops of the onions are at least 6 inches tall. 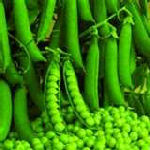 Peas – an easy container vegetable in dwarf or bush varieties. Plant in a container at least 12 inches in diameter. Set stakes or sticks in the pot so that the peas can vine up along it. Plant seeds one inch below the soil and about two inches apart. Cover with some mulch. Keep moist and in a shady location until the seeds germinate. Then move to a sunny location. 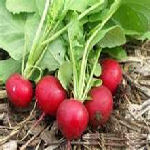 Radish – These are compact plants so a 10 inch pot will do. Fill it with soil and spread the radish seeds on top. Cover with about 1/4 inch of soil and water. Cover the pot with plastic wrap and set it in a sunny location. In less than a week, the seeds will germinate. Remove the wrap. 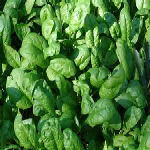 Spinach – an easy container vegetable, and also one of the first to plant in spring. Plant any time after daytime temps are above freezing. Fill the pot with potting mix. Add a slow release fertilizer and water until the soil is moist. Plant two spinach seeds for every six square inches. Plant only 1/4 inch deep. Water thoroughly when the top inch of soil is dry. When plants have two sets of leaves, thin the plants leaving only one for every six square inches. Harvest in 4-6 weeks. 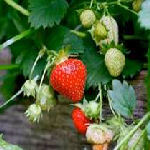 Strawberry – wait for temps to reach 55 to 60 before planting. Use a 3 gallon container with equal parts organic compost and potting soil. Add granular fertilizer as directed on package. Plant one plant per 3 gallon container. In a large container, plant one every 15 inches. Strawberries need air, space and sun. Don’t crowd them too much with other containers or plants. Plant seedlings in holes as deep as the root ball. Keep the plant level with the soil. When watering,fill up the container and let the water soak through the soil. Strawberries need about 2 inches of water per week. Tomato – probably the all time selection for favorite and easy container vegetables. Use a container bigger than 12 inches. You can sow seeds or buy plants. You may want to order seeds early online and start the plants indoors. If you start from seed, transplant seedlings as soon as the threat of frost has passed. If planting mature plants, transplant as soon as possible after purchase. Keep the plants well watered, but don’t water the foliage. 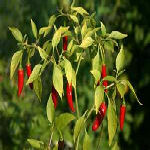 If you use a pot, stake the plants upright as soon as they reach about 12 inches in height. 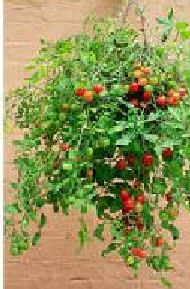 Vining tomatoes do well in baskets. Tomatoes are generally ready to harvest when they turn orange. Return from Easy Container Vegetables to Container Vegetable Gardening.